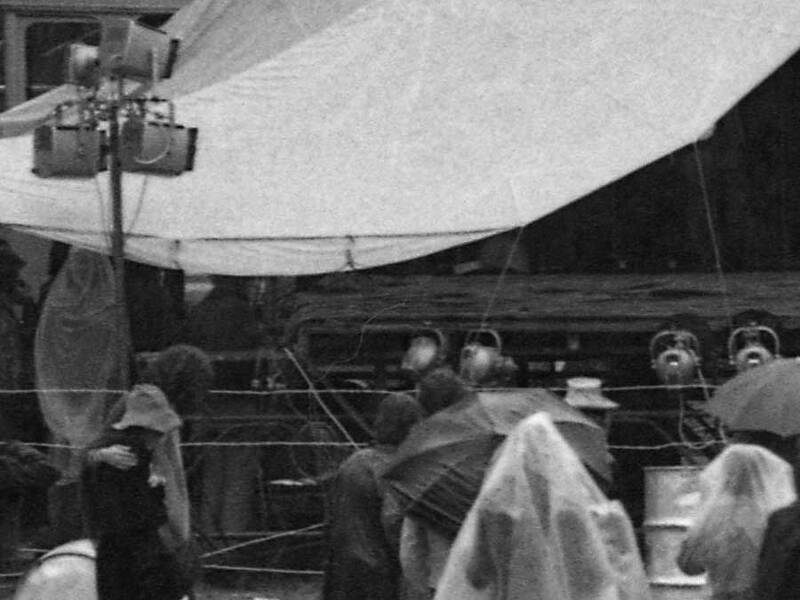 In January 1971 Jands provided stage and effects lighting for the first Fairlight Festival. The equipment consisted of Strand Patt 223 & 123 fresnels, Patt 23 & 23N profile spots and Patt 63 multi-cell ground rows. Kodak Carousel projectors loaded with hand painted sides and 3M overhead projectors with non mixing dyes manipulated in clock faces were used to project a ‘liquid lightshow’ onto three parachutes hung at the rear of the stage. 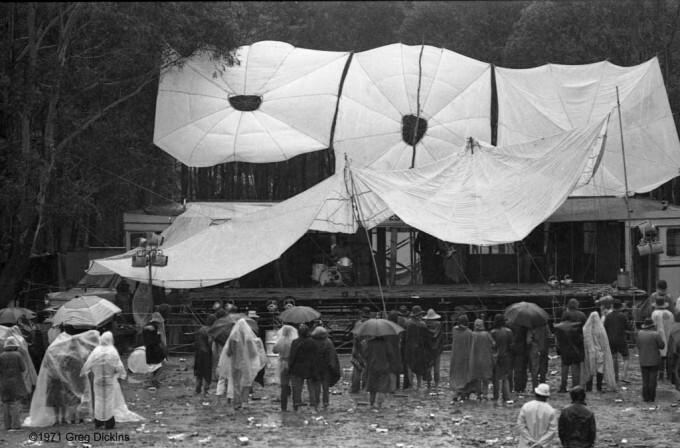 The Fairlight Festival was held (in) 1971 and boasted a strong line-up of Sydney-based bands. Although advertised as “The Timeless Trip”, this early Australian rock festival was in fact a bit of a bummer, and like the ill-fated Mulwala Festival the following year, it was marred by those all-too-familiar festival hassles – poor organization, meagre facilities, bad weather and too much alcohol. Fairlight is about 10 kms south of Mittagong, which itself is about 100 kms South of Sydney. The site was on a property (reputedly once an Aboriginal tribal ground) about 2 kms east of where the present M4 Motorway crosses the Old Hume Highway. Organisers provided the bare minimum of facilities – no showers, primitive toilets and a few drums of drinking water. Announcer Jeff Canters ambitiously started the festival on time at 10am Saturday – even though the (Betts) amplifiers had not yet arrived! First up was Jeannie Lewis who did an acoustic set (not surprising given the lack of sound gear at that stage). Once the amps arrived The Cleves did a rollicking set, followed by Khavas Jute who maintained the energy, although their set was shortened as they had to go on to another gig. 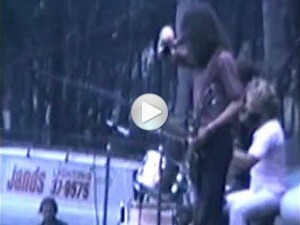 However their lead guitarist Dennis Wilson impressed the crowd with his wah-wah guitar work. Steve Phillipson, ex-Velvet Underground vocalist), entertained the restless crowd with a solo acoustic set (a la John Sebastian) later in the evening. He was followed by Sydney band Wildwood who presented a set of Steppenwolf and Three Dog Night covers. Their improvised lead guitar solo went down particularly well. Blackfeather’s set kept a high going. Tamam Shud who went on at midnight bravely, or madly, depending how you look at it, played on through a torrential rainstorm. Because of the bad weather, Sunday morning’s planned “Dawn Ritual” was abandoned. Instead a bunch of the musos played a ninety-minute improvised set. This was followed by a jam by Nutwood Rug, but by then most of the 4000-strong audience had left. The police who attended busted some dope-smokers during the festival but the audience was largely comprised of “drunken yobbos”. Like Ourimbah, a lot of rubbish was left behind after it had finished. Typically, the organisers had made no provision for the possibility of rain which, being the Southern Highlands at Easter, it did copiously, leaving the crowd to slosh around in large quantities of mud on the second day. This scenario would be repeated at Mulawa, held almost exactly a year later. To top it all off the organisers had $4000 stolen. Jeannie Lewis, The Cleves, Khavas Jute, Galadriel, Steve Phillipson, Wildwood. Blackfeather. Tamam Shud, Nutwood Rug Band. David Mulholland, Paul Mulholland, Eric Robinson. Greg Dickins Photo Sydney – 1971 photo archive page. A second Fairlight festival was held in April 1971. Phil Cullen of Electric Sunshine supplied the lighting. Out of sight, amazing, I was in this festival, I was 16 years old, I took some pictures but Idid not remember when or where , today I’ve noticed that on my black and white pictures there was the name of the festival and I found you, now I am almost 61 years old, my favorite australian band is CHain ” Toward the blues” and from this festival I close my eyes and I can still see Khavas Jute playing. Thank you so much for putting this show for ever on internet. I can remember that it rained and rained not stop.